Jenna Dallinga has been a Licensed Massage Therapist for close to 15 years with certifications in Neuro-muscular Therapy, Sports Massage, Lymphatic Drainage, and ART (Active Release Technique). Jenna is also trained in Kinesio tape. Jenna considers herself a problem solver and wants to educate her patients as well as provide them with helpful stretches and tips to live a happier, more pain free life. With her extensive training in Medical Massage she has been successful in alleviating patients with chronic and acute pain. Jenna's certification in lymphatic massage has given patients with post surgeries, chronic and acute fatigue, fibromyalgia, and post surgeries a tremendous amount of swelling and pain reduction. She has also brought in the Instruments Assisted Soft Tissue Mobilization (IASTM) tools by using a technique called Graston. Jenna uses these precision-engineered therapy instruments to glide over the skin detect and treat soft tissue injuries. Jessica has always been fascinated by the human body. She attended the Connecticut Center of Massage Therapy (CCMT) taking the Clinical program and graduated in 2008. She is licensed in both Connecticut and New York, and is NCBTMB certified. Over the years, Jessica has worked in a number of spas, clinics and chiropractic offices performing table and chair massage. She has taken a variety of additional courses to improve her skills including Hellerwork’s Myofascial Release technique and different types of energy work. Jessica is also interested in pursuing continuing education training in Upledger’s Cranial Sacral therapy course, having already taken CST 1. Myofasical Release technique works with the important connective tissue called Fascial tissue. Fascial tissue can be viewed as a functional encasement, acting like a sort of “webbing”, which envelopes all the muscles, organs, nerves and blood vessels. MFR encourages or “re-educates” the fascial tissue to lengthen and maintain pliability. Jessica will guide you through a combination of MFR techniques, and with your assistance, isolate muscle contraction to achieve better tissue function. MFR is a deeper technique that uses little to no lotion. Brianna is a natural born caretaker, and her passion for helping others shines through in her work. As a graduate of the Connecticut Center for Massage Therapy, she received her massage therapy license in 2016. Brianna has a 13 year background in dance, and her love of dancing sparked her interest in the complexity of the human body and its functioning. She prides herself on custom tailoring each massage she gives to fit each clients individual needs. Possessing a strong foundation in anatomy, Brianna uses her knowledge and critical thinking to target specific problem areas based on her assessment. Her ultimate goal is to give her clients free and comfortable movement in their bodies, and works consistently towards eliminating any restrictions and pain. I went to Finger Lakes School of Massage in Mt. Kisco, NY and graduated in October 2014. I've been working as a licensed massage therapist since March 2015. I am certified in hydrotherapy, integrative reflexology and ACE medicupping. My style of massage is all encompassing – I believe that just one type of massage isn't enough to help heal the body. With a basis in traditional Swedish massage, I also incorporate myofascial release, trigger point work and reflexology. I am well versed with clients with obscure medical conditions. I am constantly researching medical treatments and trying to find out how I can better help those that continue to see me. I believe that therapeutic bodywork not only helps heal the physical body but also the emotional. Stress of day to day life isn't the only thing that weighs the body down. The vast majority of my clients have experienced loss, hardships, and trauma. Our bodies hold on to that whether we're aware of it or not. In my sessions, I try to create a space that is filled with unconditional care and compassion. I'm an experienced Health Science Professional & Licensed Massage Therapist with a demonstrated history of working in the Health & Wellness Industry. Skilled in Connective Tissue Therapy, Swedish Massage, Medical, Shiatsu, Reflexology, Trigger Point, & Polarity Energy Work, my goal is to provide an integrated approach, by using various modalities of massage therapy and therapeutic bodywork. This combination is best in treating my clients with a Mind, Body & Spiritual approach for the best possible outcome. We all have moments in time, or circumstances that create stress or imbalance in our lives. It can be difficult to feel better, look better and think more positively about our health and wellness. My Philosophy gives the client or patient an opportunity to recapture the essence of who we are, and what we need that's necessary to get back to a healthy state. In addition to professional bodywork, my extensive experience in exercise science, & stress management, helps in reducing risk factors in our everyday life. As a professional manual therapist, I've worked with a multitude of clients, with various conditions and issues, integrating these complimentary modalities which have been very helpful in finding the root cause of stress & discomfort. Sean Flynn has been a licensed massage therapist since graduating CCMT Westport in 2012. He specializes in therapeutic deep tissue massage with the belief that deep tissue shouldn't hurt – he removes trigger points and adhesions without discomfort and pain. 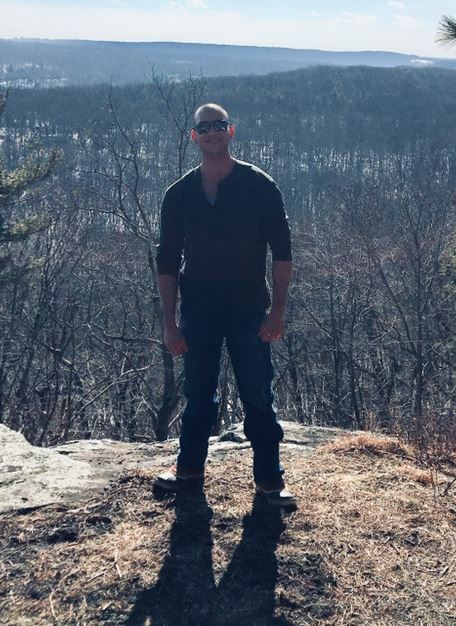 An adaptable and natural born healer, Sean uses both his personal and work experience to help his clients leave his session room feeling like a different person. He believes that because we have one body in this lifetime, we should be comfortable and happy within it.